Ansul | Haven Fire & Safety L.L.C. Ansul is a global premium brand of Tyco Fire Protection Products and are a world renowned Fire equipment manufacturer with over 75 years experience in Fire suppression system and equipment design. Ansul are always looking for better ways to protect people and property from fire. Whether it's through agent chemistry, equipment design, or electronics - the chemists, engineers, and technicians at their Fire Technology Center are never comfortable with "good enough". 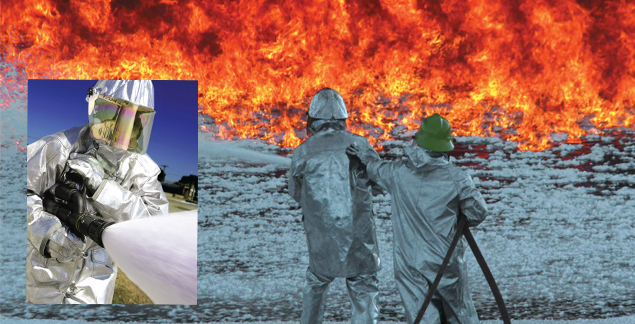 With one of the most extensive fire research and testing facilities in the world, they don't have to be. Ansul has been solving fire protection problems since 1939 and even continue to do so as part of the largest fire protection organization in the world. Being a member of the Tyco family of companies gives Ansul the inside track on a host of additional products, technology, and services to fulfil your most challenging fire protection requirements. Haven Fire & Safety are Ansul-trained and supported by field sales staff, technical and customer services departments, so you can feel confident that your fire protection equipment will be designed and installed correctly - the first time - every time.